The development of industrial technology and Western influence came into Thailand’s society. It affected the social structure more complex. The social was invaded by the commercial of capitalism. The cultural material changes to a commercial product. It became to the fast, easy and endless of consumption. These phenomenal, repetitive processes leave people neglected, paying special attention to the basis of a life of spiritual value. Including interactions of close communication between each other. 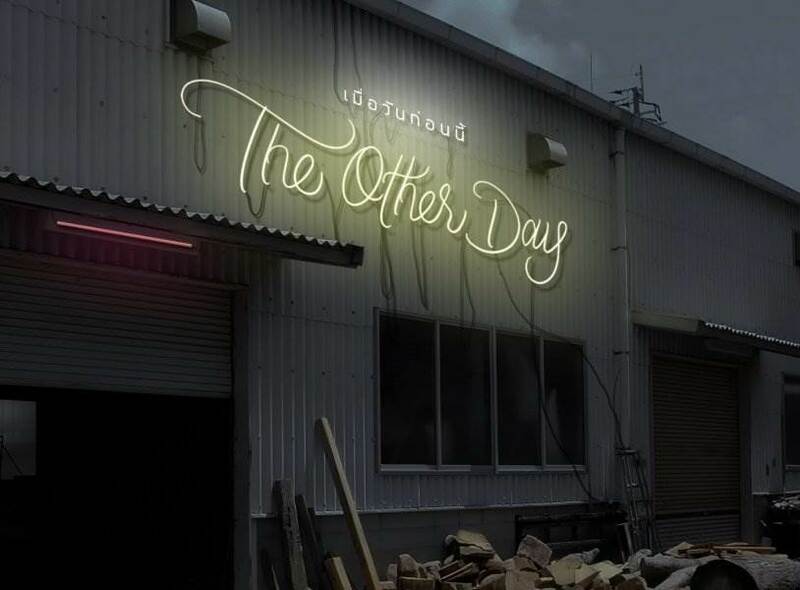 Exhibition “The other day” It is inviting audiences to look back on the values of the past and memories about the person which reflects stories that have happened in history. That can make us aware of the sense of humanity, such as aesthetics, happiness, incidence and dissolution. And explore to find the lost meanings of what the psychological foundation is and the basic human needs. Moreover, it means the recovery of communication and human interaction that we forget. Both artists exploring the perception of past and present time and reflect on incidence and dissolution. According to the environment in the age of technology. By creating the possibility of experiences between human relationships and time. Punyisa Silparassamee has explored the various objects around him. There is a connection with the past, the time, and the memories through the appliances that represent the moments of the past. By being re-analyzed. Using memories that are still left. Come on to be creative. Express through the form of wood sculptures that are unique. To make the audience understand and feel the time together. Thanatcha Chairin focused on issue about the role of social identity. The content demonstrates the development of state policies that reduce role, prestige and the identities of the craftsman in the northern of Thailand. It made the craftsman who has the cultural wisdom became to ordinary manufacturing workers.Moreover, to represent the content Thanatcha carved the text about the Thailand history relate with the social changing that affect to folk craftsman into the tools .